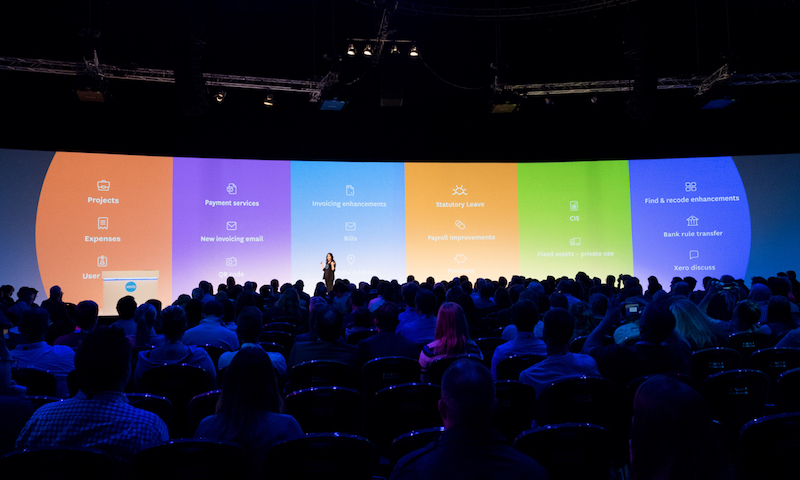 Today, on day two of Xerocon London, we launched a slew of products and updates that help advisors and their small business clients do business faster and smarter than ever before. We’ve re-imagined our expenses product from the ground up and taken advantage of AI and machine learning to create the new, mobile-first Xero Expenses. Xero Expenses gives accountants, bookkeepers and small businesses all the tools they need to process expense claims, analyse spending patterns and communicate and connect with their clients – quickly and simply – on one platform. Now the entire expense process will be easier and more automated than ever, ensuring employees file their expense claims more frequently and directly into Xero. Improved analytics show key expense patterns to help make smarter decisions, permissions ensure expenses are filed by the right person, and alerts help to make sure employees get reimbursed on time. Plus the new expenses API will allow banks to link transactional and purchasing services to the millions of small business employees using Xero. The new service is available to Xero partners in the UK within their practice organisation. Partners can also invite clients to try the service now. We’re planning to open up availability to EMEA partners towards the end of the year and our small business customers worldwide next year. Check out our blog on Xero Expenses to find out how to get started. Around 74% of UK small businesses work in some form of service industry. Xero Projects now gives those customers a beautiful way to manage their staff and projects with seamless integration to accounting. Our recent research of UK accountants identified that 64% of invoices are paid late. Xero Projects transforms the way people-based businesses track their time and expenses. Whether it’s directly from Xero or on their phone, Xero Projects gives business owners and solo operators the right tools to bill more accurately, invoice faster, and grow their profits and their business. Available to Xero subscribers in the coming months, Xero discuss enables accountants and bookkeepers to discuss financial details of a client’s business directly with the client from within Xero. And it removes the need for lengthy email chains or potential miscommunication about their data. Around a million construction contractors and subcontractors in the UK need to comply with special tax rules and regulations called the Construction Industry Scheme. CIS in Xero will provide a great experience for contractors, subcontractors and accountants involved in managing CIS. Deductions will be automatically calculated from subcontractor invoices, and in the future you’ll be able to submit returns to HMRC with one click – so you can be confident you’re paying the right amount. Xero accounting partners can ask to join our beta that’s live now, and we’ll be launching numerous improvements through the rest of this year and early next. Making sure you know how much cash is in the bank is key for small businesses. Direct, automatic bank feeds save small businesses and their advisors huge amounts of time and money on data entry. During Xerocon we’ve been pleased to announce new direct bank feeds with Lloyds Bank, The Cumberland Building Society and Coutts Bank. And last month we announced our enhanced direct feeds with Santander and HSBC. Many bank feeds can be set up directly from within Xero in a couple of minutes, and once it’s done, it’s done. No logging back in with various usernames and passwords every time you go back into Xero. Payroll in Xero isn’t new, but it’s come a long way. In the last 12 months, we’ve launched a number of new features that streamline the way you manage Workplace Pensions, Statutory Leave and Payroll End of Year. To discover more about what’s new for Payroll in Xero, take a look at our feature updates and see how managing staff just got easier. The post Xero launches new solutions to help small businesses work smarter and faster appeared first on Xero Blog.